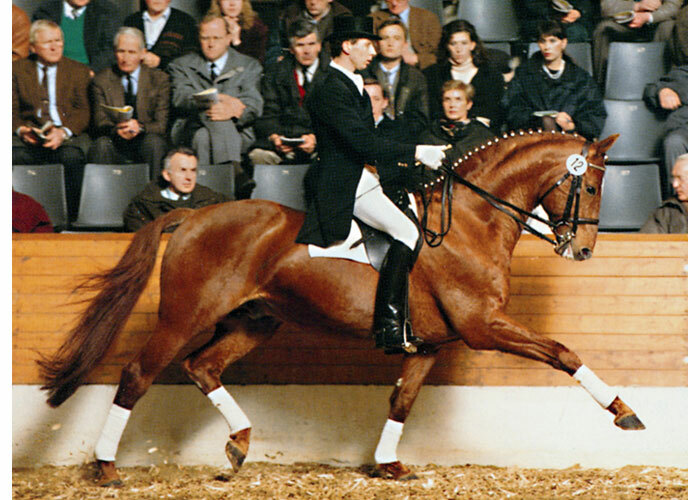 Sire Lordanos completed his performanct test at the Klosterhof Medingen in brilliant fashion as overall runner up in 1996. 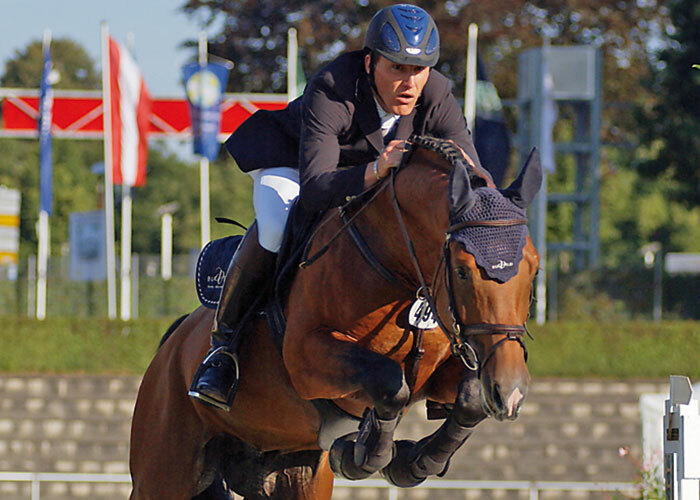 In 1997 and 1998 he competed in many competitions and went on to be a finalist of the Federal German Showjumping Championship in 1998 winner of the Youngsters Cup at the Elite Auction in Vechta. He went on to gain first placings in advanced classes as a 7 yo and competed in international events. He has presented many approved sons who have done well in their performance tests, and daughters who have done well in mare shows. 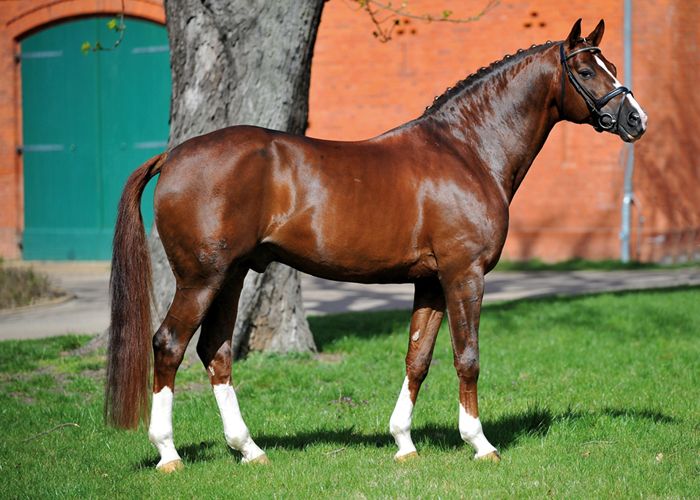 Grandsire Landos has produced a great number of top performance horses and is a very versatile hereditary transmitter. 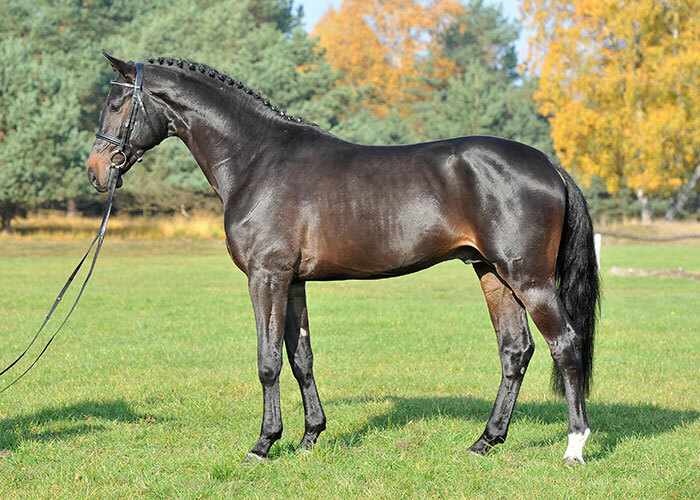 The special feature of Lordanos pedigree is his threefold inbreeding to the successful Holstein bloodline 776. Lord Lohengrin gained the following scores at his performance test: character 8, temperament 8, willingness 8, conformation 8, trot 5.5, canter 6.25, walk 8, rideability 6.5 jumping 8.63.